rating: 5/5 [in the genre] or 9.5/10 [all books I’ve ever read]. 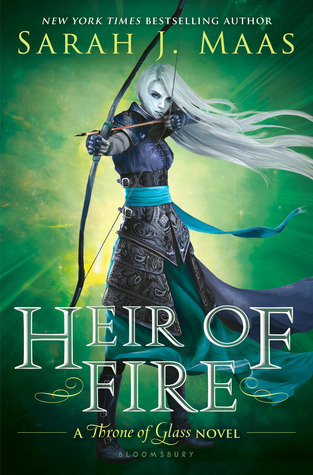 recommended for: Fans of Throne of Glass by Sarah J. Maas, Shadow and Bone by Leigh Bardugo, Incarnate by Jodi Meadows, and other rich, imaginative fantasy. will i read this author again? : Yes. I'd love to see what else she has while I'm waiting. will i continue the series? : Yes! I need The Winner's Kiss right now or I might die of suspense. If you're new to the series, check out my review of The Winner's Curse. It's a rare second novel that captures the essence of and exceeds the first. Even now, writing this, I have chills. The Winner's Crime has all the sweeping grandeur of its predecessor, but without the lingering, the set-up, the lightness. There is little light or lingering in this devastating sequel. Arin and Kestrel are apart, Kestrel betrothed to the future emperor and Arin governing a starving Herran. Their positions teeter on a precipice; one misstep could mean the lives of thousands. The plot is absolutely ruthless. For Kestrel, staying true to her new-found compassion means lying to Arin, to the emperor, to her father, and sometimes to herself. A world away, Arin is flung violently between his nation and his heart, each withering for the sake of the other. With a delicious cruelty, Rutkowski lays down thread upon thread of gorgeous metaphors, foreshadowing, and just enough hope. You feel disaster like a specter, creeping slowly, cocooning you in a claustrophobic tension. By the time you hit the book's climax, it's too late; Rutkowski has threaded you into a net of razor wire, and gives a final yank. Viciously beautiful, perfectly balanced between plot and character, The Winner's Crime is a remarkable feat of young adult literature with wide appeal for teens and adults alike. If you held your breath during The Winner's Curse, beware. The Winner's Crime is ruthless. Every good thing about the first is magnified. Kestrel's feelings for Arin and compassion for the Heranni were once unpopular; now, they're treasonous. It becomes quickly clear that the emperor understands her motivations and is willing to play along--if she plays well. But Kestrel sees her new-found power as an opportunity. Even at this international scale, she's convinced she can control the game. She secretly spies for the Herrani, even as she dupes Arin into believing her love is gone. Arin is tormented by his seemingly unrequited passion and torn between protecting Kestrel and protecting Herran's fragile truce from imploding. Every page is tenser than the last, with new plots discovered, new alliances formed, and an accumulation of secrets so tangled that it can't last. Woven into the main intrigue is a slew of smaller threads: Kestrel's crumbling relationship with Jess, the motivations of Kestrel's fiancee, the looming war in the east. With a cleverness and ruthlessness eerily reminiscent of George R.R. Martin (but without the lengthy dissertations on armor), Rutkowski masterfully interweaves the proximal tales of Kestrel's and Arin's maturation with the larger story of the Valorian empire and the only nations left to oppose it. Crime benefits from the same rich conceptual elements as Curse: the judicious borrowing of Roman Imperial culture, the treatment of slavery, the careful use of a forbidden romance. Now, we're treated to an even deeper examination of not only Valoria, but its neighbors. Suddenly, the war with the east isn't just a topic of gossip; it's a question of conscience for Kestrel, who now has the emperor's ear and the choice: play it safe and stay quiet, or save lives from her empire's rapacity. "The east" turns out to be Dacra, a proud nation in self-induced isolation. I also loved that we learned more of Herran's culture, in particular its pantheon and legends. And Valoria . . . wow. The taste of its ruthlessness in Curse was only a shadow of its true darkness. It's an empire built on pragmatic genocide and honor suicide, ruled by a man whose favor comes at the cost of everything dearest to you. It's also full of lightness and good, and a future emperor with a kind heart. The games of diplomacy, espionage, and war become very important, adding a scope to the book that grounds Kestrel and Arin in a larger reality. There are also the exciting and tragic beginnings of modernized warfare, and whether the reward of victory is worth the soul of the world. The complexity of each character is truly astounding. Rutkowski skillfully negotiates the faces each character shows and the ones that lay hidden. The result is a multidimensional cast that is believable but not predictable. Kestrel truly shines in this book. As she begins to realize the enduring costs of her decision, her conflicting ideals are drawn sharply into focus. She's brutally clever and determined, and believes that becoming ice will keep her in control. On the other side is Arin, melting and driven by his emotions into a bind between love and loyalty. Whereas I couldn't grasp him fully in Curse, I think I was able to truly understand and adore him. In our cast, we have the return of Jess and Ronan, both grappling with the aftermath of the Firstwinter Rebellion, and the inscrutable General Trajan, whose position between Kestrel and the emperor is constantly in question. My new favorite is easily Verex, Kestrel's fiancee. His early sullenness hides a kind, intelligent interior; the friendship between him and Kestrel is a rare spot of light in this dark book. His father, the emperor, is a wonderfully Machiavellian sadist, who delights in entrapment and manipulation. Roshar of Dacra is deliciously snarky, and Tensen is sweet but irritatingly protective of Arin. Honestly, the only character I feel indifferent towards is the queen of Dacra, who is still somewhat of a black box. If the writing in Curse was beautiful, the writing in Crime is agonizingly lovely. It's the kind of book during which I briefly feel sad, because I fear I'll never match even a tenth of her brilliance. Everything about her style somehow seems more intense. Her dialogue is sharp as a dagger. Her descriptions are brief but contain a multitude within them. How she can paint a world in a few words, I'll never know. What's more, she commands an atmosphere that few writers can. It's the space between good and great, the ineffable heart-clutching fullness you feel reading it. A sense of magic. Finally, her metaphors are absolutely perfect. Many authors get into trouble using a slew of mixed metaphors that come out muddy. Throughout the book, I noticed that, particularly for the important metaphors, Rutkowski would pull something from the surrounding scenes. It makes the book feel coherent and infused with the characters in a way that a random metaphor wouldn't. There hasn't been such dramatic irony since Shakespeare. I exaggerate, but there's a certain fatalistic quality in Rutkowski's writing that reminds me of his. She's sneaky and deliberate in the way she strews crumbs here and there. Some things dawn on you slowly, pages later. Others form a blurry picture that suddenly snaps into clarity. There is one in particular that made me cringe away from the page; I think I shouted "No!" to my empty bedroom. If you've read it, you'll know the one I'm talking about. It was set up so long before, and it becomes cruelly clear. The cruelest, perhaps, are the most obvious ones. The alternating perspectives of Kestrel and Arin allow Rutkowski to explore the knowledge that is unique to each of them, then to switch to the poor, clueless other one. To watch the tragedy happening, knowing it's happening, knowing that a split second or a different word would have changed it, is excruciating. But absolutely brilliant. 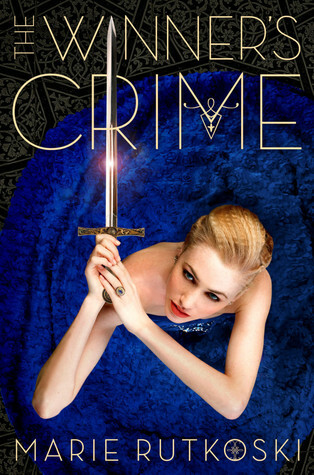 Viciously intricate, painfully beautiful, The Winner's Crime is a revelation of fantasy and romance. This one was painful and beautiful and all that. I think this series is excellent, and I am so glad you lvoed this one as well. Now to endure the wait for the third book. Me too! This has jumped quickly to one of my favorite series of all time. The wait is going to murder me. I WANT TO READ THIS SO BADLY!! and this makes me even more excited to read it! HURRAH! Nothing I love more than making people want to read things. GAH I hope you get to read it soon! It's easily a contender for my best top 5 of the year. Edged out of number 1 only by ALL THE BRIGHT PLACES.